We hope everyone is ready to leave winter behind and leap into spring as there is a lot to celebrate! With March Madness, St. Patrick’s Day, Easter and much more, March offers a little something for everyone. Just as spring is all about new life and new growth, we’ve got 10 new wine country locales for you to explore this month. Whether you’re gathering with friends, looking for an escape, or finding the perfect red to compliment your birdie on the 17th hole– we’ve got you covered. Heitz Wine Cellars is a pleasant and peaceful wine country experience. 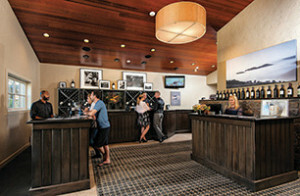 The tasting room is housed in a grey, stone building off the St. Helena Highway. Inside, the simple but spacious tasting room features a stone fireplace and couches for guests to enjoy their world-class wines. Outside, set against lush flower beds, the shady vine-covered patio offers expansive vineyard views. The impeccable wines, knowledgeable staff and beautiful grounds combine for a tasting experience reminiscent of the older days of Napa. Visit Heitz Wine Cellars for a fun, informative tasting in a splendid setting. Located in historic Santa Rosa in the heart of Sonoma Wine Country, the Fountaingrove Inn Hotel & Conference Center combines hospitable luxury with the relaxed, genuine Sonoma County atmosphere. 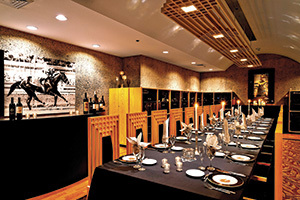 The Steakhouse @ Equus offers premium meats with a modern twist – perfect for food-lovers. Whether you’re enjoying the hotel’s restaurant and amenities, visiting one of the many nearby wineries or exploring the boutiques in downtown Santa Rosa, the Fountaingrove Inn is the perfect home away from home in Sonoma Wine Country. Whether you’re looking for an active getaway or a calm escape, the captivating Silverado Resort & Spa has it all. Blending history and modernity, the plantation-style mansion serves as an icon for the property that was built in the 1870s by Civil War General John Franklin Miller. Besides the PGA Tournament golf courses, tennis courts, swimming pool, bocce and bicycle rentals, there are hiking trails and Napa Valley’s 400- plus wineries nearby. Or perhaps you’re looking to treat yourself at The Spa at Silverado which offers a menu of massage, skin care, and body treatments. Named one of Food & Wine Magazine’s 75 Best Wineries to Visit in California, Pine Ridge Vineyards is a pleasure for foodies and wine-lovers alike. 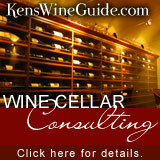 The educational tours end with a seated, hosted wine and cheese pairing in the Cabernet Caves. Or choose to experience the 5×5 tasting including five estate wines paired with chef prepared delicacies are both incredible experiences, especially for those visiting the Napa Valley. Whether you’re in the caves or the comfortable patio overlooking the gardens, Pine Ridge Vineyards is a scenic tasting experience that will delight all of your senses this spring. With a newly-renovated lounge-style tasting room that feels bold yet comfortable, Hope Family Wines embodies the spirit of Austin Hope’s fearless innovation. The Treana Tasting Cellar features Treana wines as well as Austin’s Rhone style wines bottled under the Austin Hope label. The unique tasting room, diverse wines, and impressive scenery are excellent for those who want to start their spring with a new wine experience. Nothing says “spring” quite like sparkling wine! 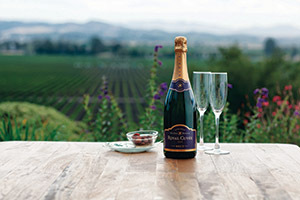 This year, wine enthusiasts around the globe are raising their glasses to celebrate the 30th anniversary of Gloria Ferrer Caves & Vineyards, Carneros’ first Sparkling wine house. With 335 acres under vine, Gloria Ferrer’s two estate vineyards produce some of the world’s finest Pinot Noir and Chardonnay grapes. On the Vista Terrace guests can enjoy table service and picturesque views of the Sonoma Valley landscape where flowers bloom year round. Only 13-years-old, Bennett Lane Winery is already known for producing top-tier Cabernet Sauvignon and an incredible 36 90+ point wines. What makes Bennett Lane truly stand out is their reputation as one of the friendliest, most welcoming wineries in the Napa Valley. Sit out on the lawn as the weather warms up and enjoy the spectacular views of Mount St. Helena. Or if you’re looking for a new adventure this March, take one of their hot air balloon tours and see the Napa Valley from above! Set two miles west of downtown Sonoma, Madrone Vineyards Estate mixes rustic warmth with modern style. The stone tasting room set in the middle of the vineyards features large wooden doors and a comfortable back patio perfect for sitting out with one of their exceptional small-lot, single-vineyard wines. Wine and cheese pairings prepared by local artisan purveyors are available daily in the tasting room. In addition, Winery Chef, Stephanie Gagne, prepares small bites of seasonal dishes paired with wines for the winery’s Sonoma Small Bites program, offered Thursday through Saturday afternoons. This family-friendly property is stunning any time of the year, but we especially like it in spring when the grounds are a rich green. 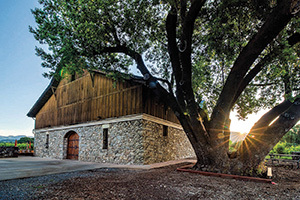 Named for a 400-year-old oak tree, Oak Farm Vineyards resides on one of the oldest properties in the Central Valley. But while the property itself is historic, Oak Farm Vineyards is a breath of fresh air. The new tasting room features floor-to-ceiling windows and brick fireplace, and a cozy terrace where you can sip wines while enjoying the stunning Lodi scenery. This vision of the Panella family is a place for those who truly appreciate the celebration of family, friends, and great wine! Their passion shines through every bottle – bring a picnic and spend a spring afternoon getting to know their balanced, delightful wines. Known for outstanding customer service and fun yet informative tastings, Moshin Vineyards is a Russian River appellation standout. Pinot Noir is their flagship wine, but they also have Pinot Gris, Sauvignon Blanc, Chardonnay, Zinfandel, Merlot, Petite Sirah and something for your sweet tooth as well! Winery events range from dinners to art shows and movie nights, making each visit a unique and enjoyable experience.